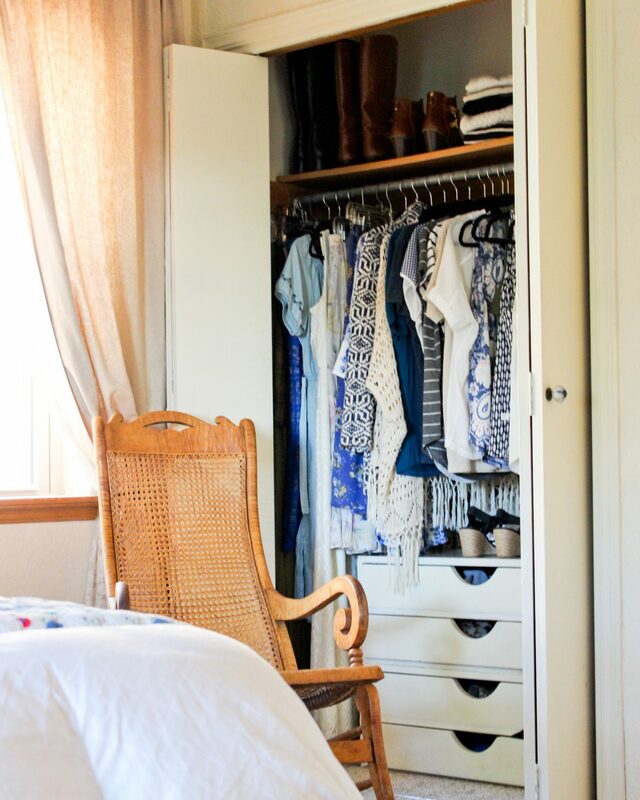 When I reset my closet, I take everything out of the closet and drawers. I put all the winter clothes into the under bed storage. Fifteen shirts or sweaters that I think will work for the season, I hang up. Anything that is stained has holes, or fits poorly is thrown out. When I first started the process I thought I stayed on top of damaged stained clothing. I have been amazed each time I do this step how many things I find that are not in good shape anymore. The first time I cleaned out 3 bags of clothes. Next, I choose 9 bottoms. This step is actually harder than I expected. It is easy for me to not put a good focus on my foundation pieces. I end up collecting lots of shirts and not enough well fitting bottoms. Before I started the capsule process, I had tons of jeans that were just a little too big, a little too small, or a little too short, but only one pair that fit just right. Now I am working hard to keep a variety of bottoms. This allows me to keep my outfits looking different and fresh. 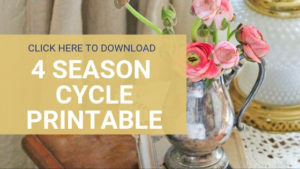 My favorite things to have on hand is dark wash jeans, light wash jeans, white jeans, black jeans, a pencil skirt, a flared black skirt, and then a seasonal skirt or two. The easiest thing for me to forget these rules on is shoes. By not buying repeats of things that I already have, I have been able to broaden the items I have. Wearing only what I have, allows me to also realize what holes I have in my closet currently. I put away the boots during the summer and it allows me to see exactly what I can wear. It keeps me from making one season’s shoe count higher than the other. I have a deadly attraction to boots and shoes I can wear in the winter and autumn. It is harder for me to want to buy cute sandals and open toe shoes since I have had foot surgery. I love dresses and have added 3-5 dresses to the original capsule plan. I substitute them for shirts or pants to keep the 33 number. In the summer I don’t usually want to wear jeans, so that capsule usually has more skirts and dresses. Since my original project, I keep these rules hard and fast by only keeping in the closet what hangs on 25 velvet hangers. (Like these) This makes each item of clothing stand out and limits the number of things I can hang. 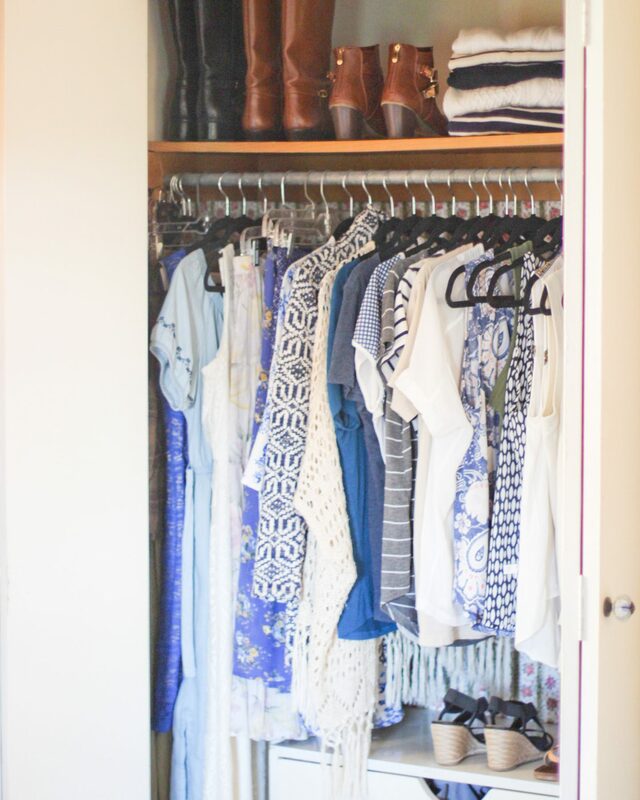 I have learned so much about why I wear what I do, and wasting less and wrote about that In Why I use a Capsule Wardrobe. 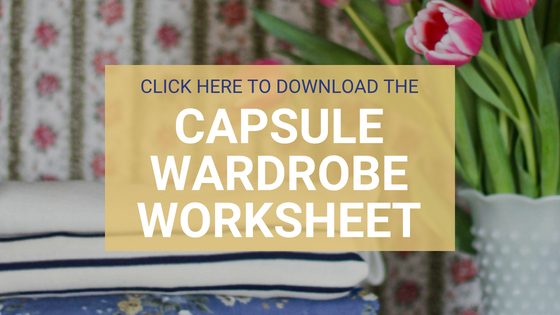 Previous Post What is a Capsule Wardrobe?